Started in 1983, family run Sterling Oil makes its home in Lynchburg, Virginia. We are proud to be serving the residents of one of the best cities in Virginia and oldest cities in the country. 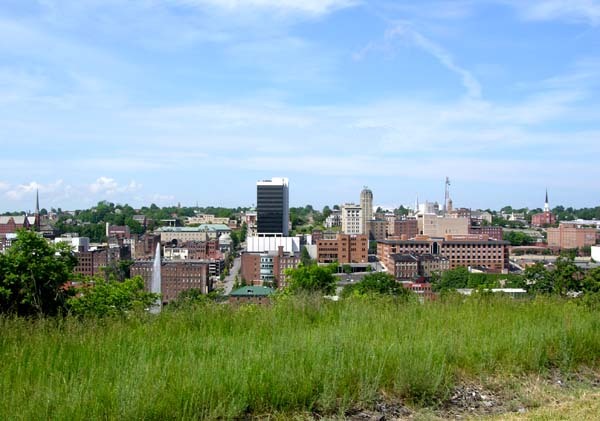 Here is a quick look back at Lynchburg’s unassuming beginnings and how it grew to be a city with an exceptional educational and recreational culture. Located in the center of Virginia and nestled among the Blue Ridge Mountains and the James River, Lynchburg has played an important role in the history of not only our great state but our country. Lynchburg was first settled in 1757 by John Lynch and was officially established by charter in 1786. Nicknamed the “City of Seven Hills” due to its geography, Lynchburg began to serve as a trading center during the 18th century due to its convenient location along the James River. This introduced the tobacco trade to the city which provided a major boost to the economy and soon became its primary source of income throughout the start of the 1800’s. Other major developments that aided the city’s growth were the construction of the Salem Turnpike (now US 460) and the James River toll bridges which made travel in and out of the city much easier. In addition, prior to 1820, the residents of Lynchburg were plagued with a perpetual water shortage. The 1820’s saw the creation of the city’s water works system which provided a steady source of water from the river and led to the building of a reservoir. The city continued to grow and welcome new technology when the Civil War began. Lynchburg served as a Confederate supply and medical post and was briefly named the capital of Virginia during the war. It managed to escape much of the destruction seen in other larger cities and towns and continued its growth when the war ended and throughout the rest of the century. War again hit the city in the early 20th century when World War I took its toll on the city as many of its young men left to serve their country and many of the city’s industrial resources switched gears to aid the war effort. After weathering the Great Depression and World War II, Lynchburg continued its march to with manufacturing and development. Today the city is known for its nuclear technology industry along with pharmaceuticals, insurance, and cellular communications to name just a few others. It is also home to six colleges and universities making it not only a great place to find employment but to provide our families with a sold education. We’ve said it once and we will say it again, we are proud to serve the great people and families of Lynchburg! With the fall season in full swing and the big box stores already stocking their shelves with holiday decorations, it’s time to start thinking about and preparing for winter. One of the biggest concerns facing families each and every year is the cost of heating their homes during these cold months. 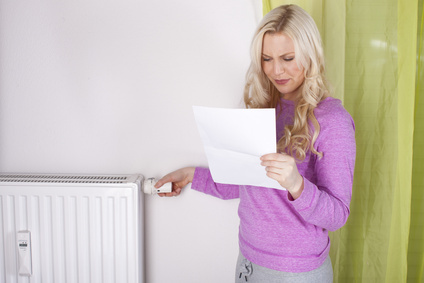 Here are some good tips and tricks that can help to lower your heating bill this winter. You don’t need to wait for the cold weather to arrive to prep your home and perform maintenance on your heating system. An easy step to prevent both heat loss in the winter and air conditioning in the summer is to ensure any and all gaps in doors and door frames are sealed. Also taking the time to re-caulk the drafty areas around your windows will prevent air from escaping. Take a walk around your home, paying attention to furniture that may be blocking radiators. This could prevent heat from circulating around the room when needed so you may want to consider rearranging your furniture. If it has been awhile, you might also want to get your heating system checked to make sure everything is in tip top shape and ready to tackle the marathon that is winter heating. Once the cold does arrive, keep shades and curtains open during the day to maximize the sunlight flow into your house, this will help to naturally warm your home. Close them both once the sun has set to prevent heat loss. Keep you kitchen vents, closest doors, and fireplace dampers closed to also prevent warm air from escaping. In addition, turn down your thermostat a degree or two while you are out or sleeping and turn the water heater temperature down to 115-120 degrees ensuring you will use less energy without really noticing a difference. Finally, there are bigger steps you can take that might cost a little up front but will pay off in the long run. Installing a programmable thermostat will lower fuel costs over the course of a year and will also prevent you from having to constantly regulate the temperature manually. If you have them, lowering storm windows will keep air from escaping and if you don’t have them it might be an investment you want to make. What Temperature Should I Keep my AC?